Drink: My favourite drink is the “Blaubeerspritz”. 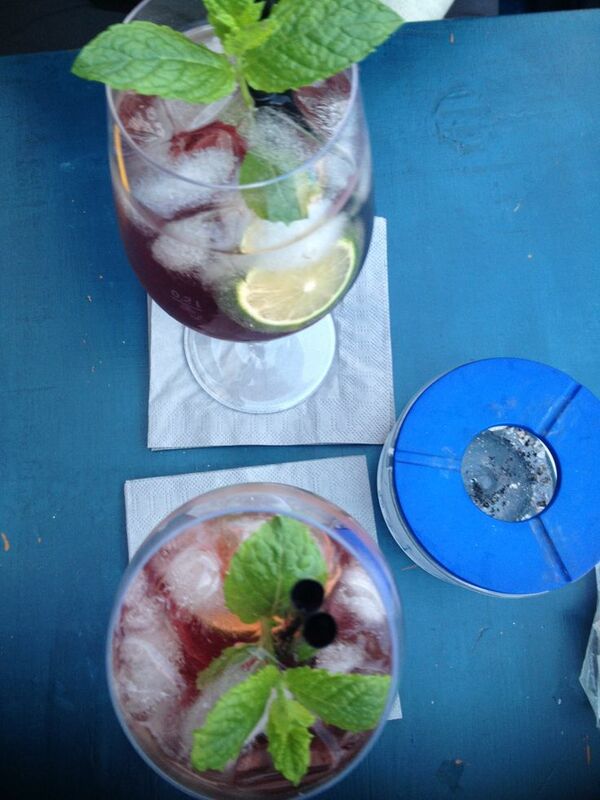 A mixtoure of white wine, sparkling water, limes, mint, blueberry sirup and fruit… Absolutely delicious but very sweet. If that isn’t for you try the “Aperol sour”. Its made with fresh juice and its amazing! My Tip: Go early! If its a warm summer day the outside area will get very very full by 8-9… The bar opens at 6, so if you want to enjoy the ambiente outside go there at around 7… There is also many many bars in this area that you can explore later on. Price: Its Germany so prices are cheap… For Bremen this place is a little bit more expensive then the other Bars in the area… But the drinks are better so its worth it. You can always switch to beer after one or two cocktails which is good and cheap. This entry was posted in Germany, Places behind Drinks and tagged Bars, Bremen, Cocktails, Drinks, Germany. Bookmark the permalink.